You have seen all the many Iron Man and Tony Stark figures that have come out, and you may even own some. They are really cool and all, but Iron Man/Tony Stark wouldn’t be as popular as he is today if he did not have a great partner and lover to keep him grounded. 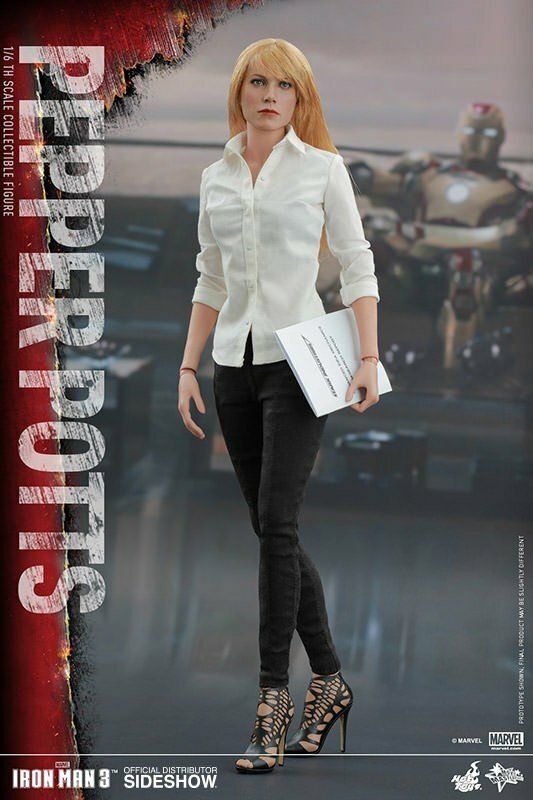 For the first time, you will be able to own a figure of Pepper Potts from Iron Man 3!!! Hot Toys is yet again hitting it right on the head with this new figure. This figure is the best companion your Iron Man/Tony Stark figure will ever have! Retail price is $224.99, so you will definitely have to pay for it, but it is definitely really cool! She is fully posable, and comes with an Iron Man arm, confidential papers from Stark Industries, and a stand.